While working on a new landscape design for a client, I came across this beautiful image. I feel compelled to share it on my website. The main tree is Metrosideros. It has beautiful, showy red flowers and is native to Australia. This tall shrub/ tree is easily pruned and does extremely well here on our Central Coast. This plant is very drought tolerant as well. Notice how playful this little garden design is. Fun flower colors, great composition. 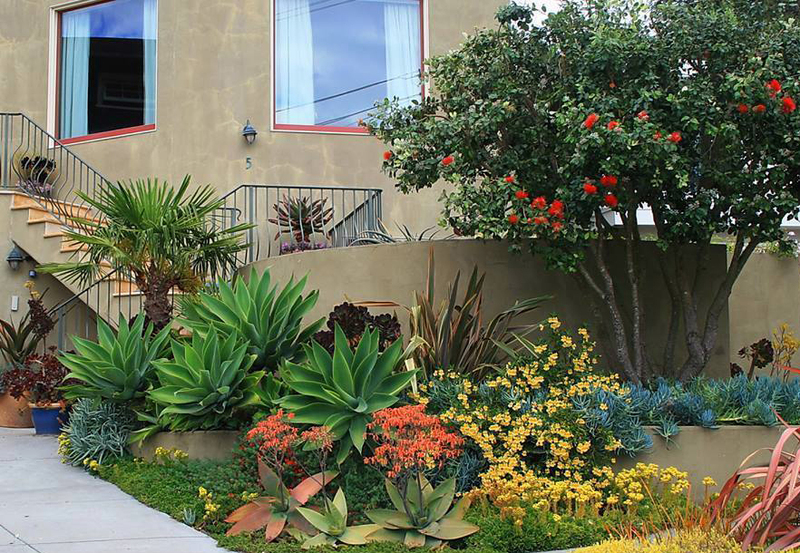 A stellar landscape design, I think!